Every single homeschool looks different and that is the beauty of schooling your kids at home, isn’t it? How does homeschooling work for you? Do you find that following a curriculum is the easiest or do you prefer unit studies? Some homeschools have stacks and stacks of library books laying around because children just pore over the written word like it’s going out of style! And there are many other homeschooling methods that I didn’t mention here, but they work for other families. Regardless on how you teach your kids at home, the important thing is that they are learning! 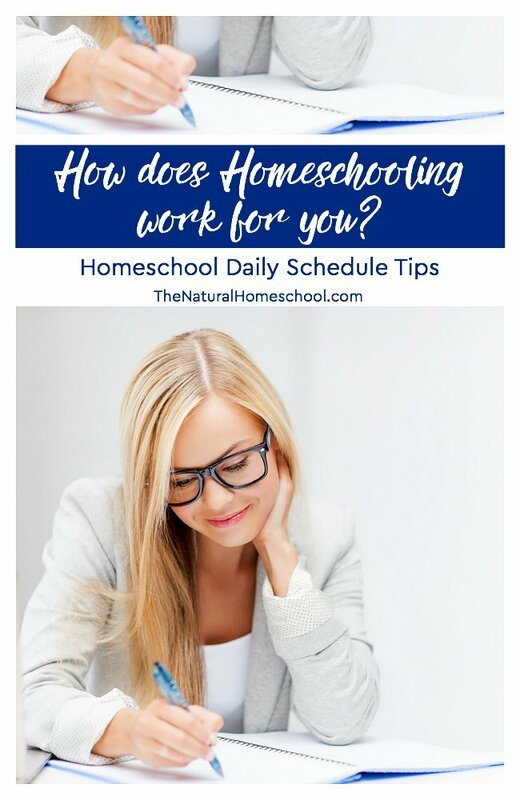 In this post, I will share with you some practical homeschool daily schedule tips that you might find helpful. How does homeschooling work for you? What to do today? What to do next week? What about next month? The day in the life of a teacher can be very similar or very different from a day in the life of a mom who homeschools. How does homeschool work for you? Is it something that brings you joy or that makes you anxious and feel overwhelmed and disorganized? Homeschooling is a twofold concept: finding what works for each child and also finding what works for you. Yes! It is SO important for the homeschooling parent to find a rhythm that works for them. This is key for stability, consistency AND sanity. We include Classical, Montessori, paper and pencil curriculum and unit studies in our homeschool. We love them all for different reasons, so I need to make sure we include them all in one form or another. I keep two planners for my homeschool. I know it sounds like a lot, but they make my life so much easier! 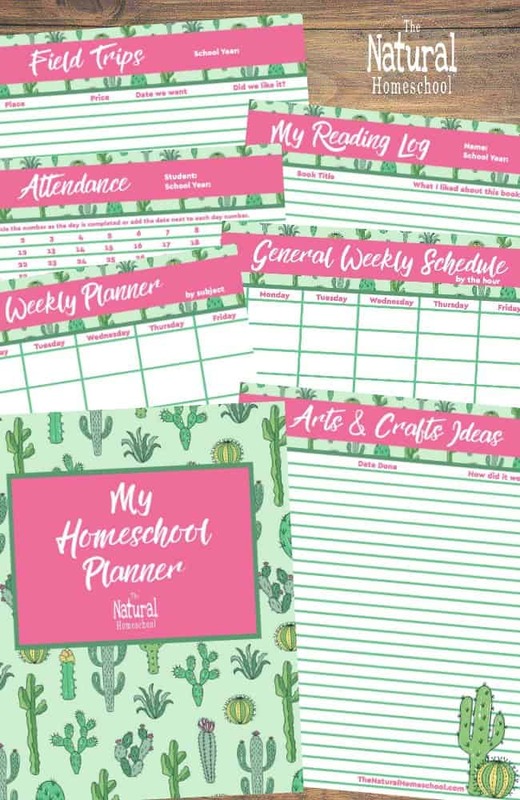 One is a regular homeschool planner and the other is a Montessori at home planner. Both are digital downloads that come in PDF form. 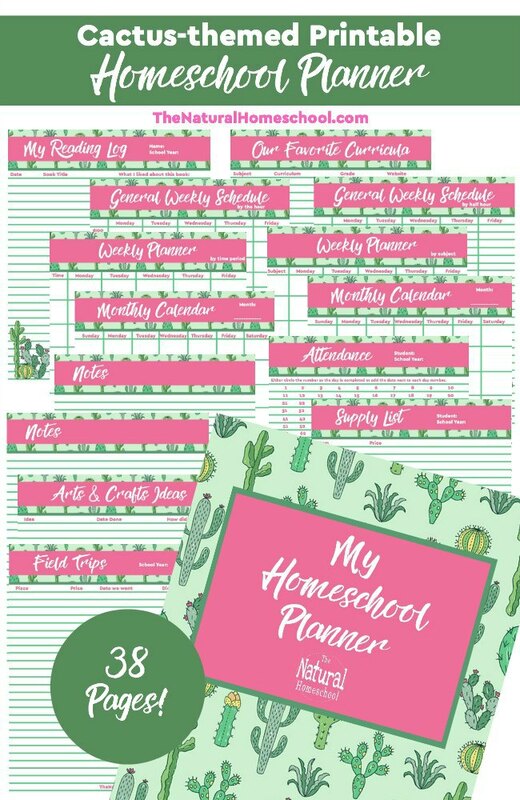 The regular homeschool planner has wonderful planner sheets, calendars, list, attendance chart and so much more. It helps me remember things that we need to do and also keep track of things we have done. It has 15 pages that can be printed over and over, year after year for personal use. It is a great way to keep memories of fun and important milestones in your children’s lives. Read more about it HERE. This is a set of 38 pages that don’t have dates so you can use them year after year. It is a digital download in PDF form. 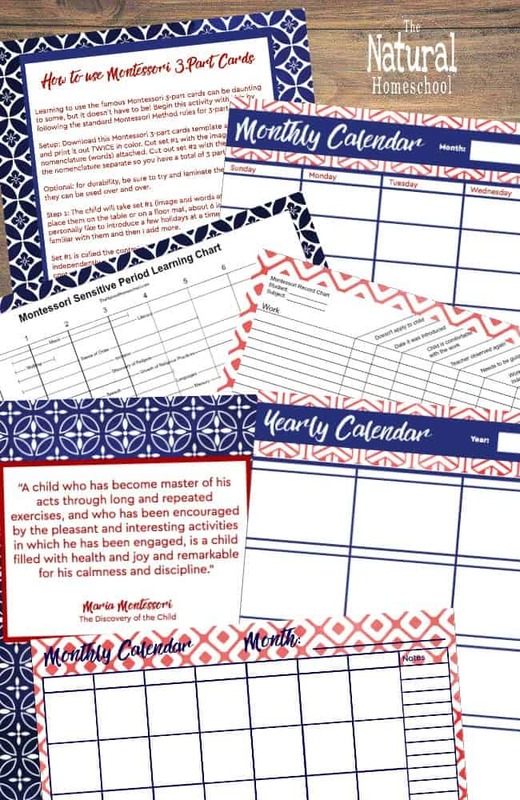 It includes: yearly calendars, monthly calendars, weekly calendars, inspirational homeschooling quotes, attendance, reading log, field trip log, notes, monthly planner, weekly planner by the hour, weekly planner by half hour, and so much more! 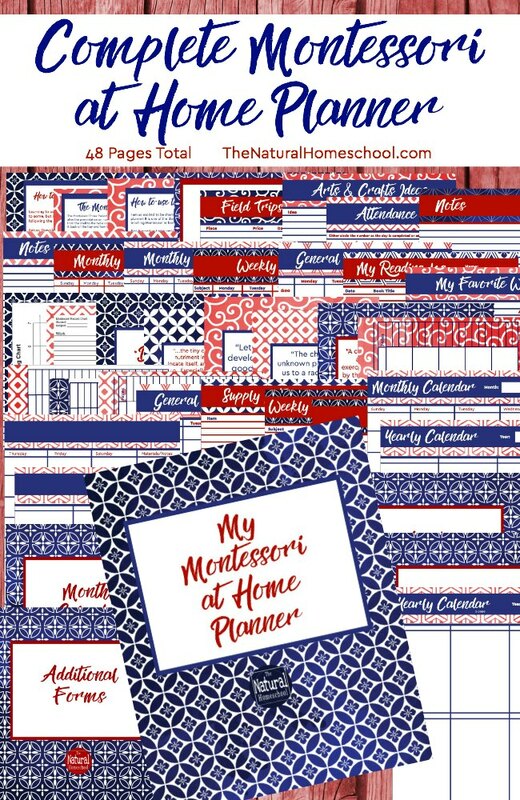 It is 48 pages of so many great options for keeping your Montessori at home journey on track because we know that Montessori at home can look different from a regular Montessori environment. Read more about it HERE.